Yes, you can wash your face with a gentle soap or any other mild facial cleanser. But it is recommended that you make use of cold raw milk for this purpose. Being one of the best natural cleansers, raw milk can keep the pores dirt-free and make the skin shiny. For the best results, prepare a natural cleansing solution by mixing some fresh lime juice and a bit of regular salt with milk. Dip a cotton ball in it and wipe away all grime from your face by rubbing the ball in an upward circular motion. Also, wash your face with lukewarm water once you are done with the cleansing. Without proper exfoliation, your fruit facial will be of no result. So, prepare a gentle homemade scrub by blending oatmeal, lemon peel powder, and rose water. Gently exfoliate your face with this mixture for 4 to 5 minutes and then wash it off with lukewarm water. You can also replace the lemon peel powder with raw milk or fresh yogurt and create an uneven paste to use on your face. Now, it is time to lighten up your skin tone a little bit. Nothing is better than pure honey for this purpose. Hence, take a spoonful of pure, raw, organic honey and rub it on your facial skin so that it gets a slight bleaching effect and becomes somewhat lighter. After 10 to 15 minutes, wash your face with plain water. Opening up the facial skin pores is also essential for making the most of a fruit facial. Take some clean water in a deep saucepan and boil it properly. After turning off the heat set the pan aside for maximum 5 minutes. Then, cover your head along with your face with a towel and steam your face by leaning over the saucepan. It will unclog your skin pores almost instantly. Next, give your face a gentle massage with a mixed fruit pack. You can prepare it by reducing some bananas, papayas, and strawberries to smooth pulp and blending a little honey as well as milk with the mashed fruits. Massage your face slowly with this creamy mixture at least for 5 minutes and then wash off with fresh cold water. While choosing the fruits for your homemade facial, make sure that you keep the unique requirements of your skin in mind. We are giving a general fruit facial choice here that would suit almost all types of skin. Take a ripe banana or a seasoned tomato, mash it thoroughly and add a few drops of lemon juice to it. Blend them well and refrigerate the mixture for half an hour. After that, mix a few drops of honey to it and apply the smooth paste all over the skin of your face and neck. Wait for 15 to 20 minutes. Then, rinse away with fresh cold water. Follow up the facial with a nourishing cucumber pack. 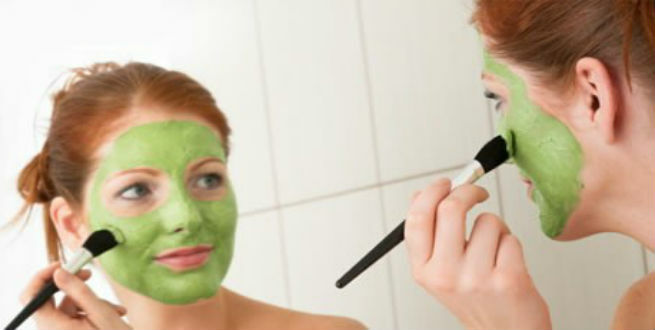 Just convert a cucumber into a smooth paste and apply it to your face and neck thoroughly. It will provide nourishment to your skin and keep it moisturized for long. Finally, tone up your skin with the help of a homemade toner. You may prepare it by combining the juices of cucumber and lemon. Wipe your face with a cotton ball soaked in this mixture and discover an amazingly beautiful face! Choose the right facial cleanser based on your skin type. The wrong choice of cleanser can make a dry skin even drier or increase the oiliness of an oily skin largely. While exfoliating your skin, be as gentle as possible. Otherwise, you may end up damaging your skin. Never ever skip the step that involves the unclogging of the pores. If your pores remain clogged, the facial will not work. It is always good to use only fingertips for massaging the delicate skin of the face. Pick fruits depending on the nature of your skin. Dry-skinned beauties should stay away from lemon, tomato, etc. at all cost. No matter how oily your skin is, moisturizing and toning right after the facial is a must. Make sure that you do not go for a facial more than once a week.